Make your way through ten levels or “stages” varying in both difficulty and style to progress through this medium length map. Play by yourself or with friends in an attempt to reach “Stage 10” of this exciting map. 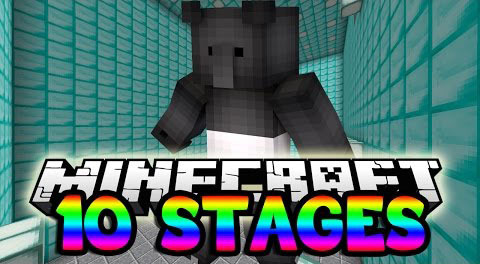 With everything from ice parkour to invisible block parkour to dropper parkour, the variations between levels keep Stage 10 Parkour Map different from all of those repetitive, boring maps out the window. The individuality of each stage keeps this map exciting and forces you to be on your toes in anticipation for the next jump!